Introduction: Many nonsurgical therapies have been suggested for the management of Disc derangement disorders such as physical therapy, pharmacologic therapy, through psychological counselling, cognitive behavioural therapy, occlusal splints and acupuncture. Among physical therapy procedures, low level laser therapy (LLLT) has recently been proposed to reduce symptoms and improve function in TMD patients. 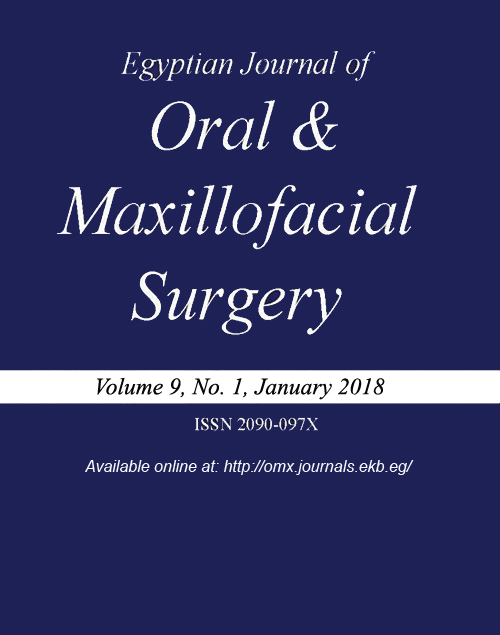 Aim: The aim of this study is to evaluate effectiveness of Low level diode laser therapy as a treatment modality in temporomandibular joint internal derangement. Patients/Methods: Thirty six patients presented with jaw pain, clicking and limited mouth openings were involved in this study. Clinical, radiographic and magnetic resonance imaging (MRI) were performed to exclude muscular, hyperplastic or degenerative causes. They were divided randomly into two groups. group I, subjected to arthrocentesis and group II, subjected to ten sessions of LLLT on fixed predetermined points. Results: Statistical analysis has shown a significant improvement in both groups after six month regarding Pain, range of mandibular movements and clicking. In comparison between both groups the change in maximal mouth opening (MMO) and clicking was higher in arthrocentesis group than LLLT group.